The VWP-CO2 fuel recycling model integrates the combustion engine with the earth's natural material and CO2 energy cycle. VWP follows the vision of a biofuel concept that can substitute the finite petroleum diesel and petrol in a long-term and sustainable way. The VWP philosophy aims to integrate the combustion engine into the earth's natural material and CO2 energy cycle. The VWP-CO2 fuel recycling model consists of three components: sustainable fuel cultivation, decentralised, regional oil production and new developments for adapting the modern diesel motor to using plant-based oils as fuel. The definition of sustainable fuel cultivation describes the sustainable cultivation of various types of oil (no monocultures) and/or mixed crop cultivation for the collaborative cultivation of food and energy. An integrated cultivation concept is proposed that combines the collaborative production of plant oil as fuel in decentralised structures with co-products for human and animal nutrition with topsoil development. Negative effects on the environment and climate are prevented and solution proposals are provided for the food production versus energy conflict. In 1993, the "Berchinger Model” was developed by VWP. It describes the production of oilseed and the consumption of plant oil and oil cake within an area of about 25 km. The decentralised oil mill, which belongs to the farmer is in the centre and can produce approx. 3% plant oil for presses and filters without transport expenses and using the most advantageous energy expenditure possible. In this way, work, material, energy and money cycles remain in the region. This concept for plant oil circular economy was registered as a worldwide project at EXPO 2000. With regard to the major, global migration movements, plant oil circular economies hold great potential in offering a large portion of disadvantaged and poor populations in Africa, Latin America and Asia a long-term local income perspective. Pure plant oil cannot be used in conventional diesel motors. As an innovation, VWP developed plant oil compatible diesel engines based on modern series direct-injection diesel engines with pump nozzle or common rail high pressure injection incl. modern exhaust gas secondary cleaning systems. 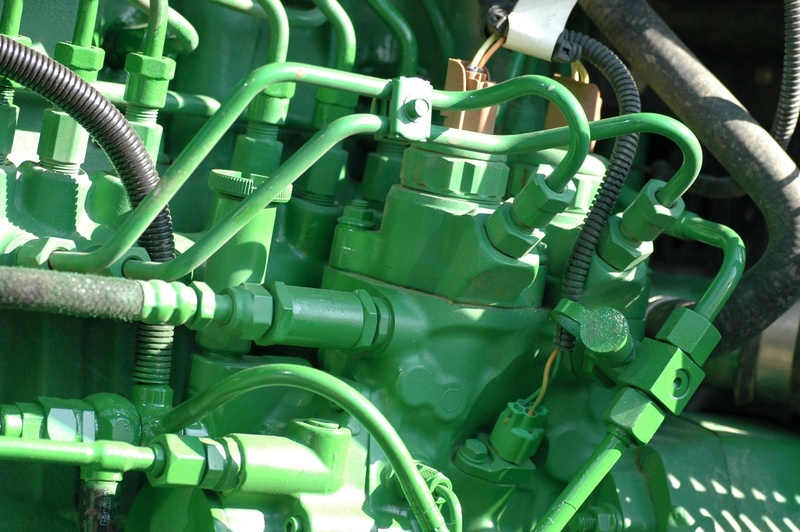 Flex-Fuel engines can be used with pure plant oil, biodiesel, diesel and/or fuel mixtures in a mobile manner in combustion engines for cars, trucks, tractors, and ships, and stationary for electricity, heat and electromobility, while complying with legally limited emissions and the best-possible fuel consumption. In practice, the functionality and daily compatibility of the VWP engine and fuel concept has been verified and documented with several hundred vehicles over many years under scientific monitoring in country, state and EU projects. Exhaust emission measurements took and take place in private TÜV and DEKRA testing stations or testing stations at the Universities of Rostock, Stuttgart-Hohenheim, Kaiserslautern and/or Munich, Regensburg and Vienna.